My WHS box now has the latest and greatest – Windows Home Server 2011! On WHS v1, I’ve never really had to use Remote Web Access, and didn’t bother to move past the UPnP problems my D-Link DIR-655 router had. Now that the Windows Home Server Team announced the release candidate for Windows Phone 7 Connector app, I just had to try it again. In the process, I tried using the Dashboard wizard, but still it didn’t work, and I wasn’t surprised to see this. The fix involves setting up the DIR-655 manually. This guide is based on the hardware version B1 and firmware 2.01NA. 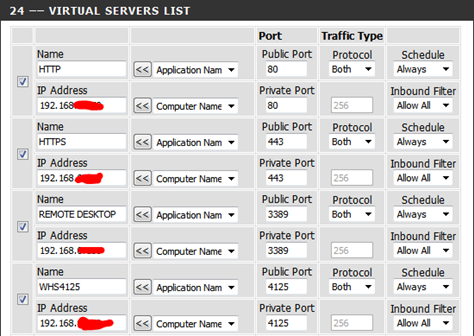 Instead of using Port Forwarding, setup the ports 80, 443, and 4125 under Virtual Server. 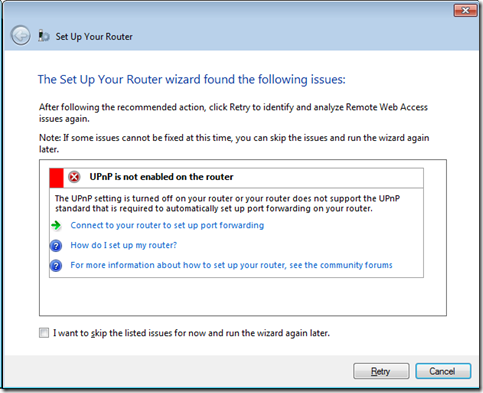 After saving settings on the router, go back to the WHS Dashboard and run the router setup wizard again, but this time, select “Skip router setup. 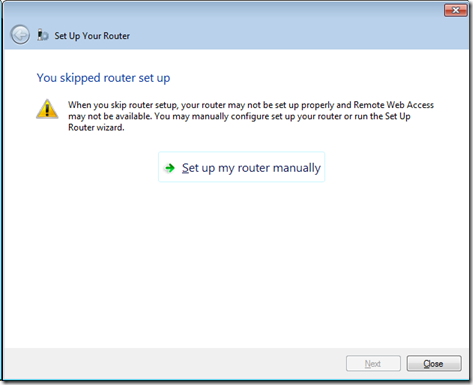 I want to setup up my router manually” and click “Set up my router manually.” This will also open a link to a page online, but it won’t be needed. Close it. The step above forces the Dashboard to update, and you should be able to access your Home Server remotely using the domain name. Note that the new WP7 Connector requires an add-in to be installed on the Home Server.